A full-scale cyber war is predicted to break out between countries in 2018, according to information security provider Ward Solutions. The provider also predicts that nation states and law enforcement agencies around the world will begin to use cyber tactics offensively over the coming year. Last year saw a significant escalation in the number of cyber-attacks levied against countries, and Ward believes that 2018 will see similar growth in the number of attacks. The security company, which has around 300 clients, said that it expects governments to adopt combative cyber strategies tackling both aggressive countries and state-backed cyber criminals, a strategy that it says is likely to lead to the emergence of a cyber security war. 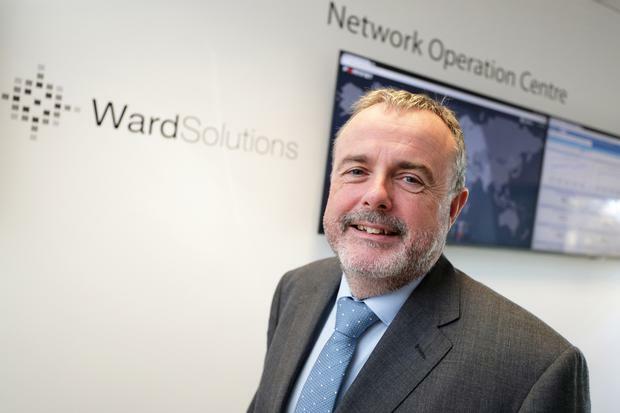 "2018 will see cyber security threats increase further in sophistication and the amount of damage that they can potentially cause," Pat Larkin, CEO, Ward Solutions, said. "We would expect certain nations to go on the offensive against hackers and launch coordinated cyber campaigns to disable them before they have the chance to strike. Offensive cyber strategies will become a key element in countries’ national defence plans, helping them to prevent attacks," Mr Larkin continued. A further prediction from the company is that this year cyber criminals will embrace artificial intelligence and machine learning technologies, using them to supplement their attacks and circumvent the advanced cyber security tools employed by businesses. The General Data Protection Regulation (GDPR), which comes into affect in May, will also remain a key priority for Irish companies in 2018, according to Ward Solutions. "It is likely that punitive examples will be made of large organisations who will be fined heavily for failing to comply with the legislation," Mr Larkin said. "The focus on GDPR compliance will also drive the need for an overarching framework that will enable companies to maintain compliance with information security standards going forward."